Meltech’s PC range of semi-automatic coiling machines can be used for a diverse range of flexible pipe products from HDPE utility and industrial piping, district heating pipes, ducting and all types reinforced thermoplastic pipes. 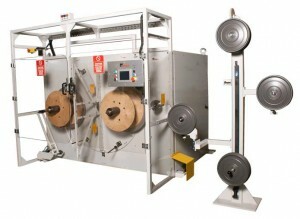 The machines include traverse layering systems with auto stop at pipe end and auto speed increase on cut signal. 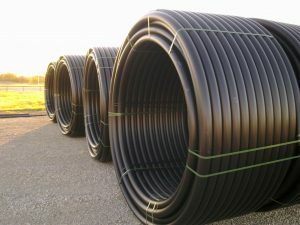 These machines operate safely with one temporary operator only requiring attention on initial pipe connection, when a completed layer of pipe requires banding or completion for removal. Optional extras include integral unload cranes, multi coil storage frames and wheels. This continuous winding of multiple profiles is key to the significant productivity benefits that can be achieved with this innovative equipment.